The Online Teaching is a service provided from a University, School, Company, Association, Institution or Organization which uses the WEB (and particularly the Instant Messaging Service WhatsApp or Skype) for educational goals. Online Teaching is particularly indicated for students who are separated by time and space from their teacher or tutor and cannot join to face-to-face lessons for different reasons (distance, family commitments or coincident work time with lessons time, disability, etc.). Online teaching allows also the students to learn comfortably from their home or studio avoiding traffic, transportation and living expenses such as to plan their time efficiently. d) peer-to-peer (exchange of teaching, tutoring, information, etc. between two or more students). Fernando Fracassi Music offers all these services with the exception of the peer-to-peer modality. In one-to-one service, only a student is logged in an receive lessons or tutoring individually. In many-to-one service, more students from different geographic areas are logged in to receive interactive lessons or tutoring at the same time. The Teacher (or Tutor) will hold his lesson for more students at the same time and every student can intervene in real time making questions or performing live his program while other students listen. In our case, this formula is used only for Flute and Piccolo or Chamber Music (Strings or Wind Ensemble with or without piano) Online Masterclass with Fernando Fracassi. In asynchronous course the teacher and the students work at different times and place. They do not meet face-by-face but interact via email through discussion boards and assignments. This service concerns particularly students or clients who will be trained for Theory, Harmony and History of Music exams, such as other subjects which exclude the pure instrumental or vocal performance. Music lessons and courses are hold by Fernando Fracassi using a one-to-one or many-to-one services for Music Performance (Flutes and Piccolos) and asynchronous course in relation to complementary subjects as above described. In relation to all activities of Fernando Fracassi worldwide, the date and time of each lesson will be agreed between the parties with at least 7-10 days prior the performance of the lesson. This to ensure a good internet connection and a punctual internet service. The lessons are organized on three levels: Beginners, Intermediate, Advanced. A second classification is between Amateurs or Professionals. Remember to specify your level of studies and your category of service user when you send us your application and bookings forms to us. The level of studies will be suggested by Fernando Fracassi during the trial lesson. It is very important to have easily access to a quick internet connection (Optical Fiber, ADSL, etc.) and own a good and quick personal computer, tablet or recent smart phone. It is suggested, but not compulsory, to use a light wireless or cable video-conference kit (microphone, headphone, camera, etc.) for a better listening. Another way is that to connect the audio port of your hardware to an external qualitative High Fidelity Systems to be able to follow the lessons and the instructions given from the teacher/tutor with more clarity. A good hardware and accessories are very useful to learn your subject in the best way during your lesson. Near the internet connection, hardware, peripherals (microphone, earphones, good screen, keyboard and mouse) we recommend you to buy a good external microphone to connect it to your PC/notebook and optimize the sound during the performance. We recommend you to set up properly the correct distance from your microphone and your music instrument. A microphone with cable is preferable to a wireless microphone in our case to avoid interference. A mixer can be optimal but it is not a compulsory item. It is also possible to record your lesson but it is strictly NOT allowed to use the recording for any commercial purpose or sharing. It is suggested always to use a digital recorder with or without a separate microphone during your daily practice offline to listen and correct `in real time´your mistakes. 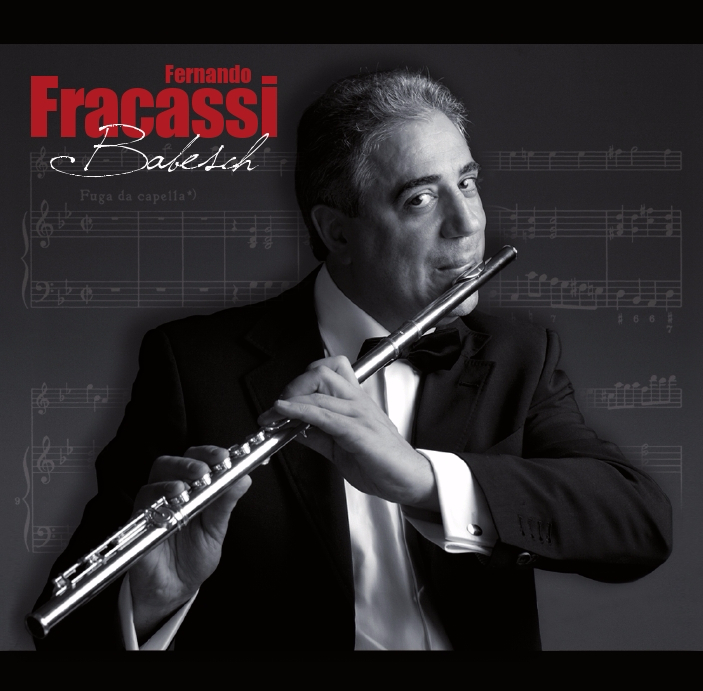 In relation to the scores, Fernando Fracassi Music will provide to send them by email within 7 days prior your lesson. The material includes: music instruments methods, studies, literature, ensemble music and/or tutorial recording in Mp 3 format. Also this protected material must NOT be used for commercial goals or any kind of sharing. We recommend you also to use a good printer (better laser) to print the didactic material send to you from Fernando Fracassi Music in PDF format and save a copy of each file on a external digital support (USB pen drive or Hard Disk). Please note that a lot of time can be wasted in an online music lesson if your technology does not work properly. We suggest to use a new hardware or maximum 3 years old equipment for an optimal use of your technological supports but this is not a must if you have available at home or studio an older but still good equipment. Independently from the music instruments which you will use for your music online lessons, it is important to follow your lesson in a silent and comfortable ambient. Traffic noises, people, TV, radio, telephone, etc. can disturb or interrupt your lesson and compromise of consequence also your learning. Kindly ask to your relatives or friends to don´t interrupt your online learning and make sure to choose a room without any noise and which has a constant temperature. Humidity, colt or excessive warm can damage your instrument and act negatively also on your health especially if you play a wind instrument. It is also important to avoid acoustical problems. For this reason, we suggest you to cover all windows with cartoons (better to use a room not exposes to traffic), the floor with an heavy carpet and put absorbent material in the room (i.e. Paper, blankets, etc.). A good illumination in your practice room is important to don´t make your eyes tired. Avoid also to forget to ware your reading spectacles if you need it. We suggest also to have available a big mirror in your room to practice in front of it to optimize the position of body and fingers and correct postural or technical problems which can influence negatively your performance. Your music instrument is naturally an element of primary importance for your performance. If you are a beginner don´t invest a big capital to start playing. It is enough to have a good student model instruments and to take care of it with a particular attention to handle, assembly and regular maintenance. Humidity, dust and accidental crash must be avoided and it is strongly suggested an annual check up of the instrument to make you sure that the mechanics (key, needles, corks, etc.) is always in good conditions. Take care also to have a cleaning kit (oil, rod, cleaning cloth, etc.) always with you when you are not at home. If you are a professional, we recommend you to buy a good instrument from a specialized company for your instrument and use only original spare parts if required. When you leave home or need to travel and would like to take your music instrument with you, remember to use a padded bag and separate the music instrument from the accessories and scores. In addition to the scores to use for your lessons, there are other important audiovisual support which can help you to progress on your instrument. These didactic support are original composition for solo instrument or ensembles, backing tracks (piano accompaniment for Classical or rhythmical session for no-Classical styles realized at Fernando Fracassi Music Studio performed by excellent professional musicians) and thematic educational videos to collect in your multimedia library. These material is NOT included in the normal fee but can be purchased easily online at this website. Visit our online STORE (subcategory: `Online Lessons´). Please note: No obligation to book an online course. No didactic material provided for this lesson. If you are interested to receive online lessons with Fernando Fracassi please send us an email to receive without any encumbrances the password to have access to our protect link Booking Form for Students (click here) in the `Teaching´ category and download the Application form and the Booking Form for trial with payment details. Choose your service and click on the related logo above for instructions. Once we will receive these documents to our secretarial office and your payment will be displayed on our bank account, we will contact you to set up a trial lesson referring to your location and local time and sending to your email box at the same time a receipt concerning your registered payment. Later, if you intend to book and entire Music Course, you can download from the same page the definitive Application Form for the entire course together with a Spending Plan referred to the level of studies suggested and the goals to achieve. Once we will receive these documents to our secretarial office and your payment will be displayed on our bank account, we will send to you by email the Lessons Plan of the entire course with the indication of the date and time (your local time) of your first online lesson. The data given at moment of your trial lesson will be stored in our database until the end of your course and then deleted definitively if you will NOT book a new one. All personal details given to us in the application form will be treated in respect of privacy and NOT provided to third parties. Data can be deleted in every moment by written request during the development of your course. It is NOT possible to leave the course in advance before its end. In this case, the payment done will be NOT reimbursed. Fernando Fracassi Music organizes annually in Germany or Italy a Masterclass with live performances of the students who take part worldwide to his online courses during the year. Complete details about 2019 Edition will be shown soon on the category `Teaching´of this website.